Warmer weather means more activities. This month, every weekend has outings for us to enjoy. From great art to sporting events, May is a great time in the OKC metro. The annual Parade of Homes is going on during this first weekend. From Guthrie to Norman and Mustang to Choctaw, the metro has over 100 homes to tour during this annual 'open house' event. A great time to see the new trends or even shop for a new home. Homes will be opened each day 1-7pm. Edmond has their annual arts festival downtown also this weekend. Beautiful weather is expected for this event and there is something for everyone with food trucks, live entertainment, and of course, great art. Put on your running shoes and head to Luther for a 5K to 'dye' for. This color run is being held at Dead Woods Haunted Forest. 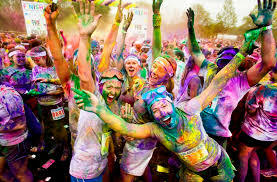 The race is for fun and participants will be dyed by 6 different stations throughout the course. This event is for everybody whether you run, jog, walk, or even skip! Also on the 13th, is something for all of you shopaholics. Pop Up Shops in the Park, with 100 vendors, will set up at Hafer Park in Edmond. This could be the perfect opportunity for Mother's Day gifts. This day is for enjoying activities fairly new to OKC. Craft beer is becoming popular and Automobile Alley will be hosting local breweries, shops, and bands will play for a block party on May 20. And our beloved OKC Energy FC will host Orange County on May 20th. In their 4th season, the excitement at the games is unmatched. 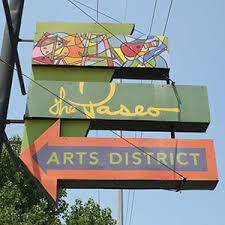 The annual Paseo Arts Festival runs the 27th thru the 29th. Paseo is known for its unique buildings and retail experience. Fine dining to pizza and boutiques to trinkets, all situated on a few hidden streets. Running for 2 days, a fun adventure in history is to be had at the Chuck Wagon Gathering & Children's CowboyFestival. Held at the National Cowboy & Western Heritage Museum, this is filled with activities galore. Rope making, petting zoo, bandana decorating, even food samples of authentic chuck wagon food. This is a definite 'must go' for family fun. How about that for a May calendar?